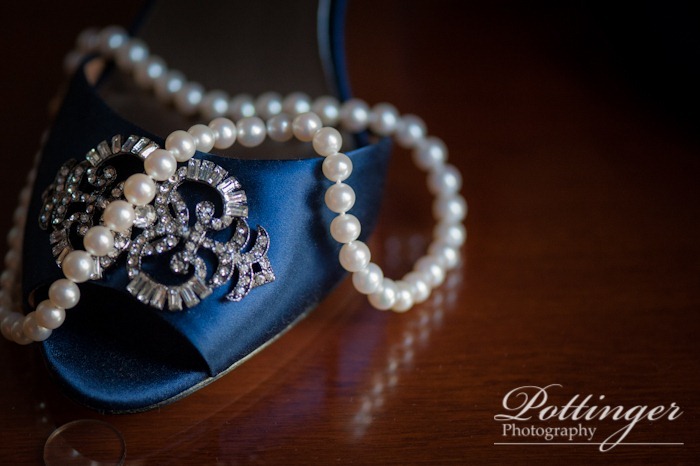 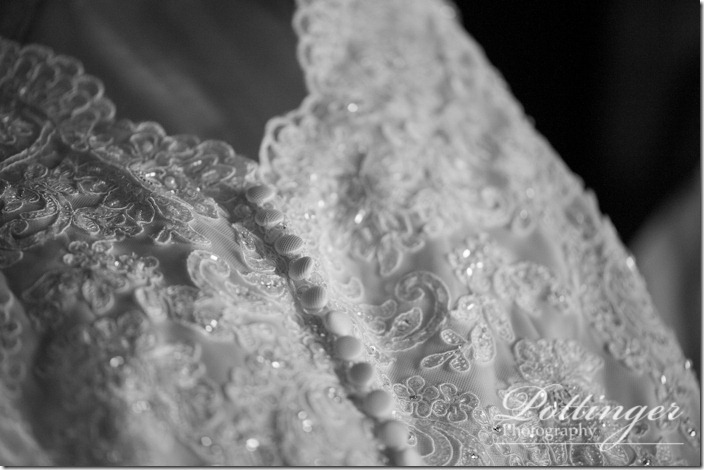 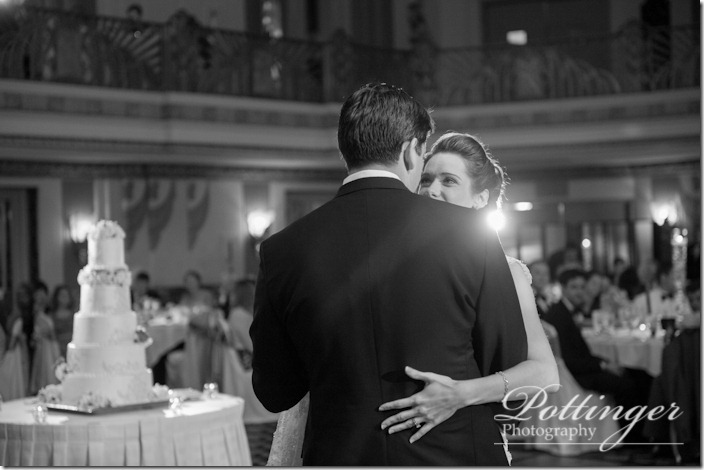 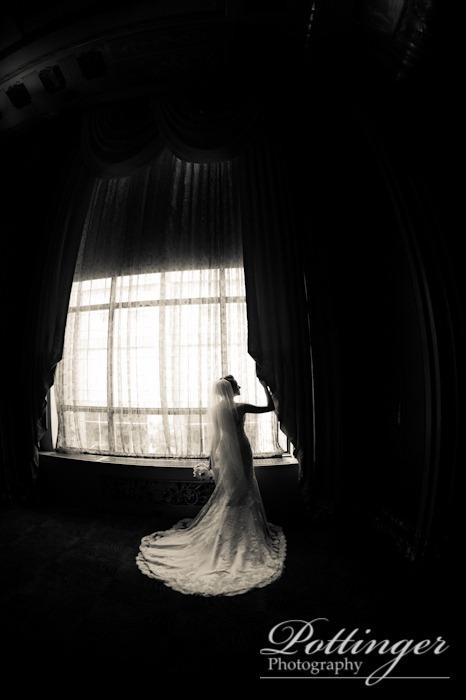 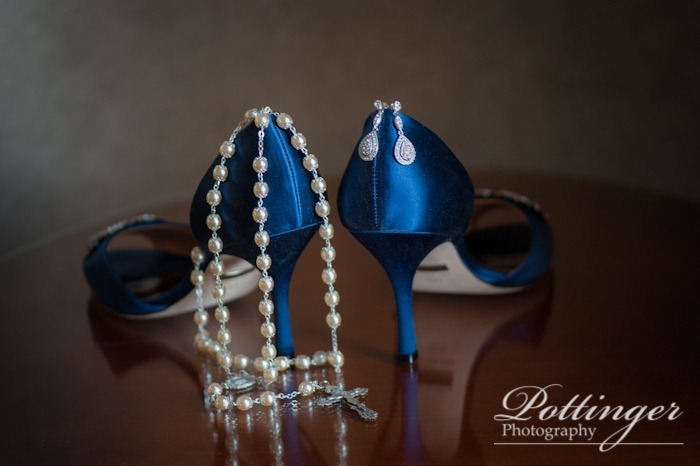 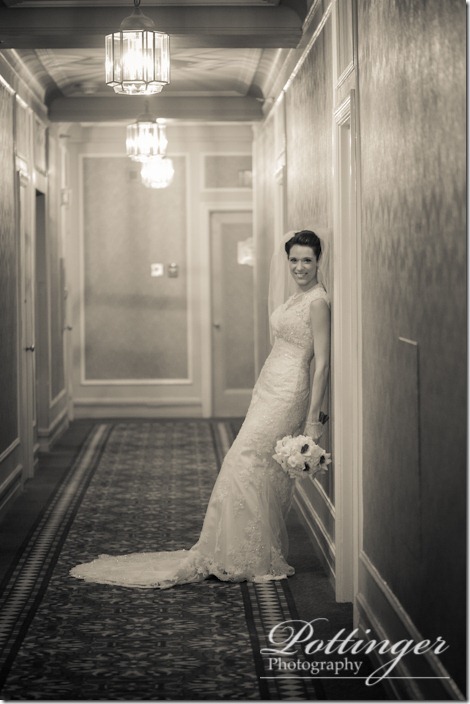 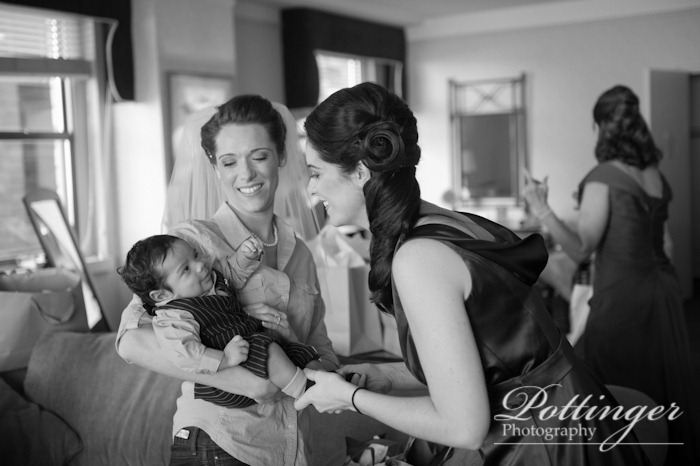 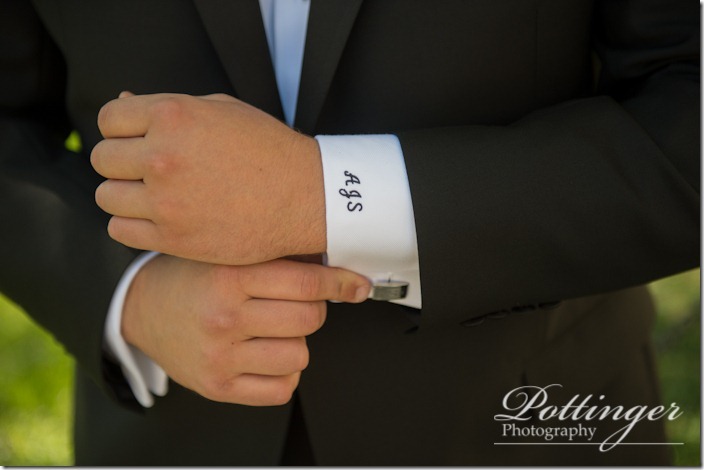 Posted on Wednesday, September 26th, 2012, by Brenda Pottinger under Weddings. Debbie and Adam are some of the nicest people I have ever met. I am so glad that Debbie’s cousin Rebecca recommended us because we loved working with their family again. 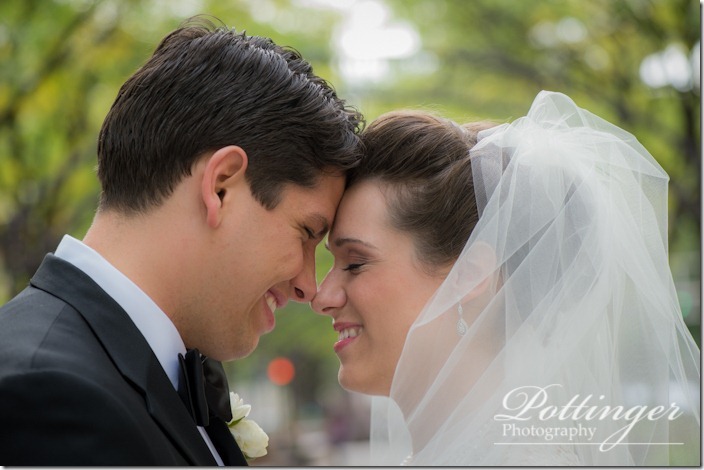 The first time that Debbie and I talked on the phone I just knew we would have so much fun together for their engagement session and wedding day. 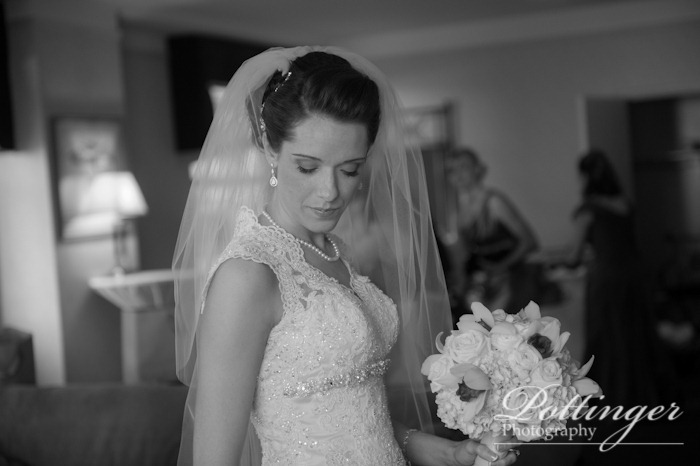 The weather was perfect and I can remember walking into the girls getting room with a big smile on my face. 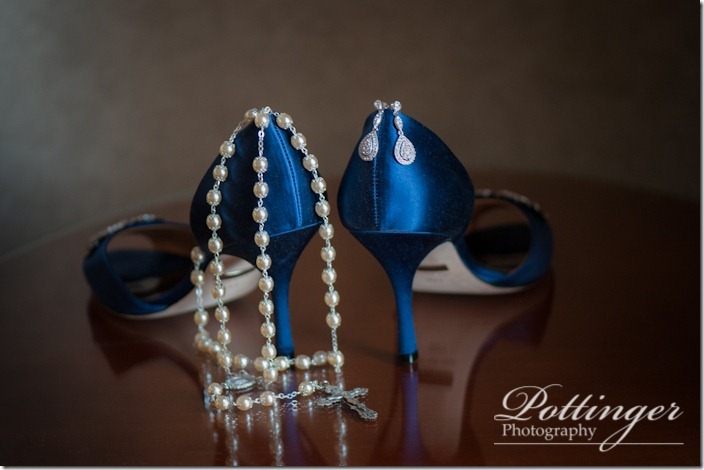 Their day was here and I couldn’t wait to say hello and see all of the details including her blue shoes. 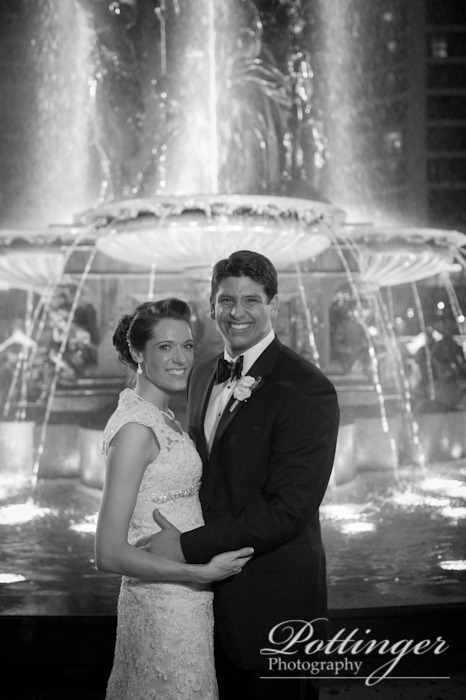 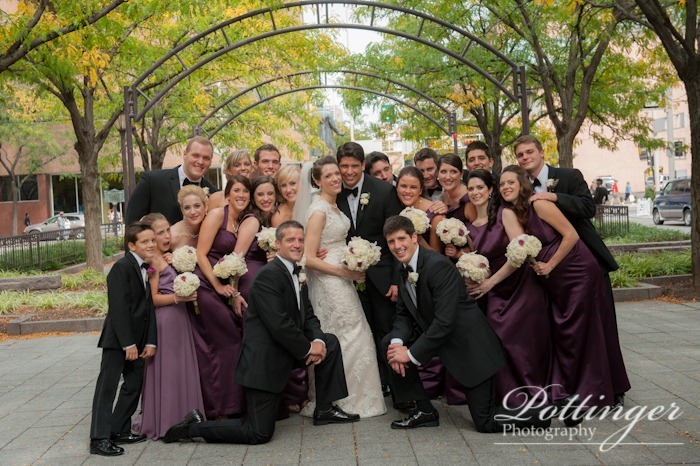 The perfect cast of wedding vendors were coming together to create something wonderful! 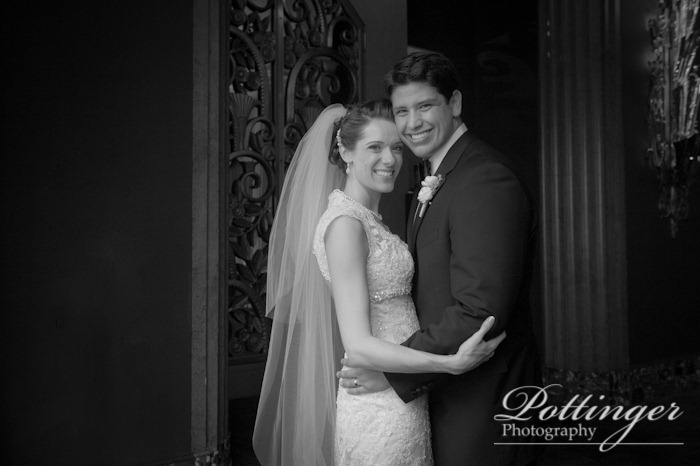 After a few relaxed portraits with the girls, we headed over to the church to meet the guys. 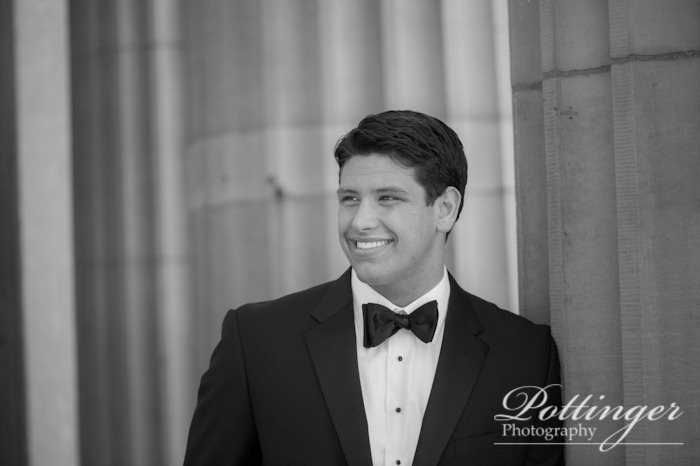 It was great to see Adam in a classic bow tie and black tux. 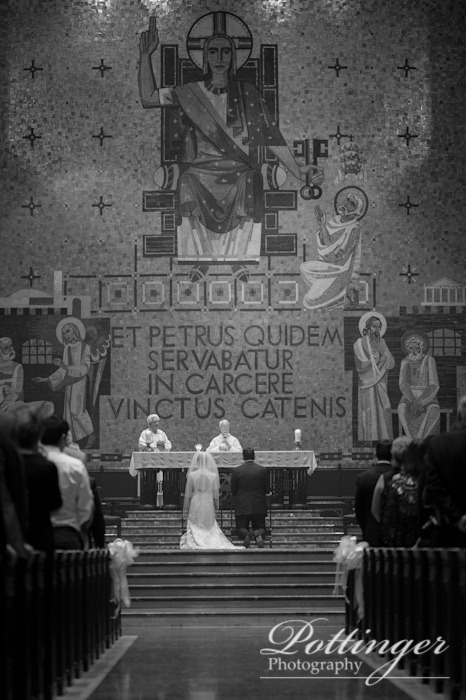 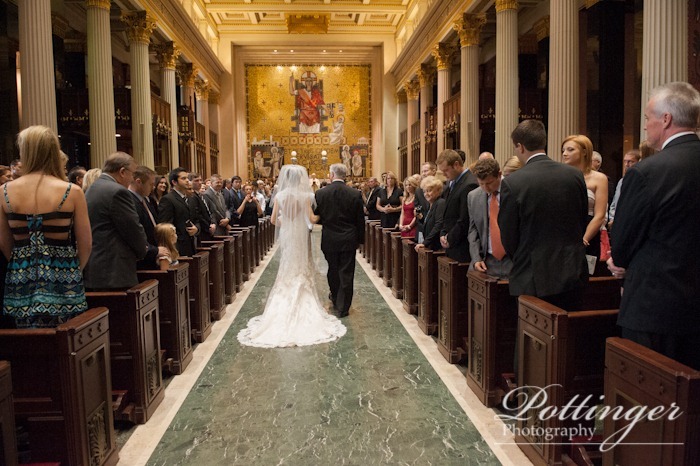 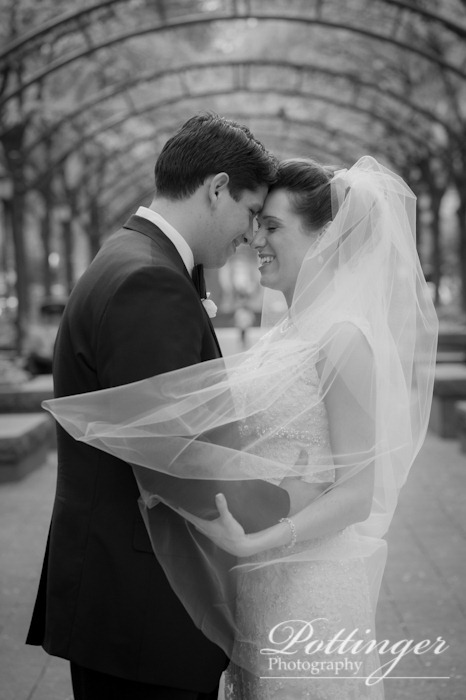 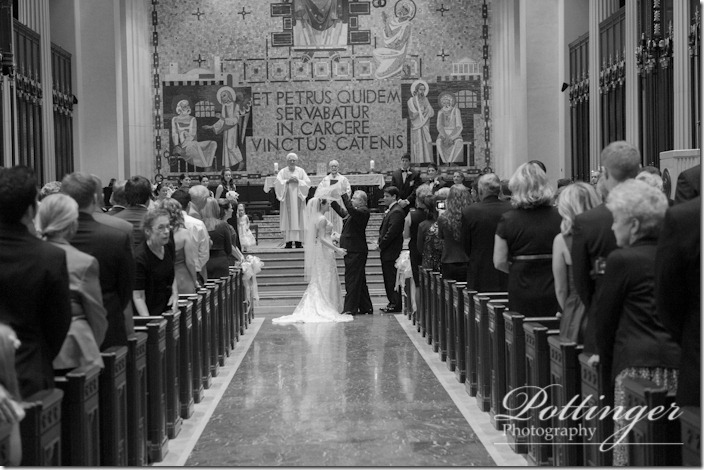 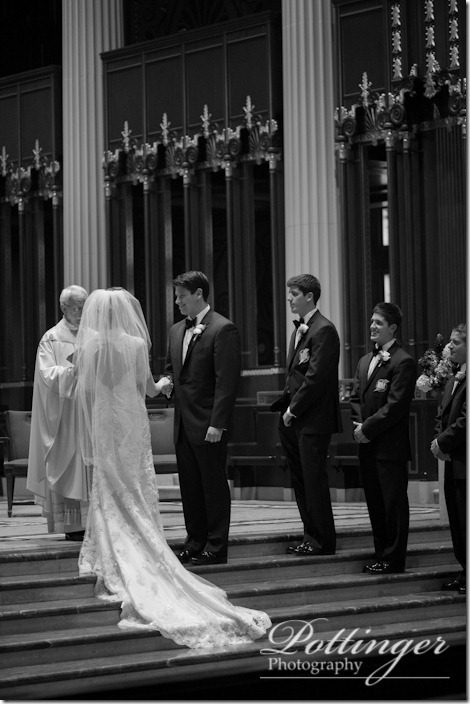 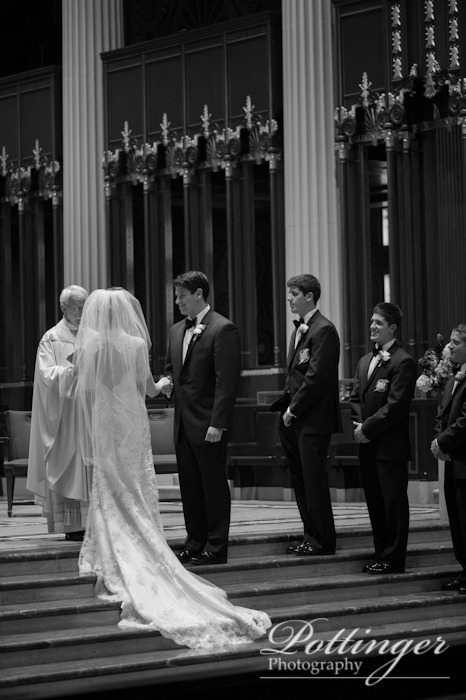 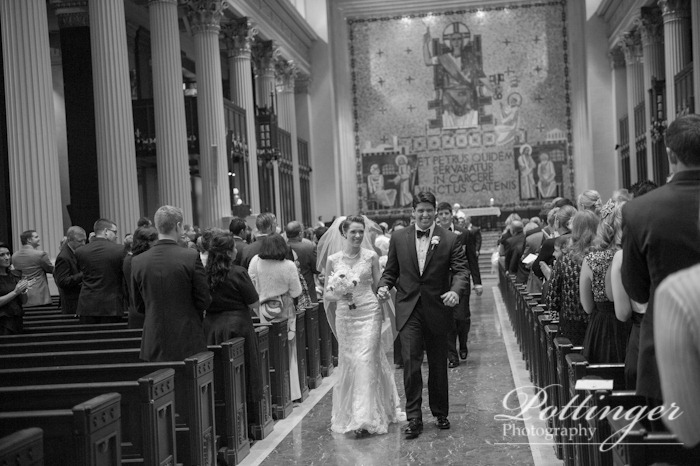 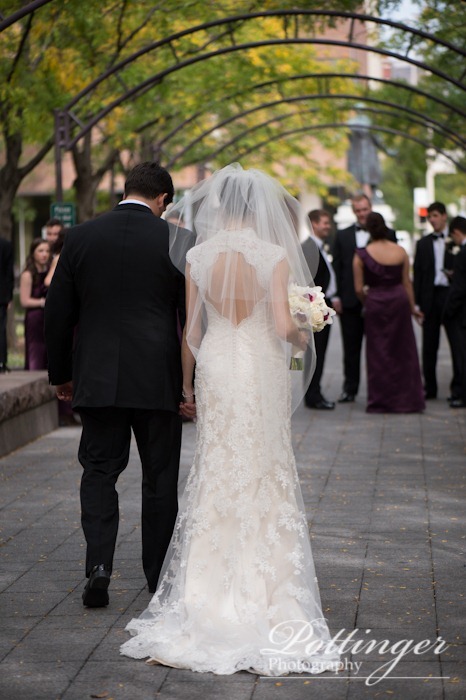 The afternoon ceremony at St. Peter in Chains Cathedral was filled with many emotional moments – from her father lifting the blusher veil to the smiling groom at the altar. 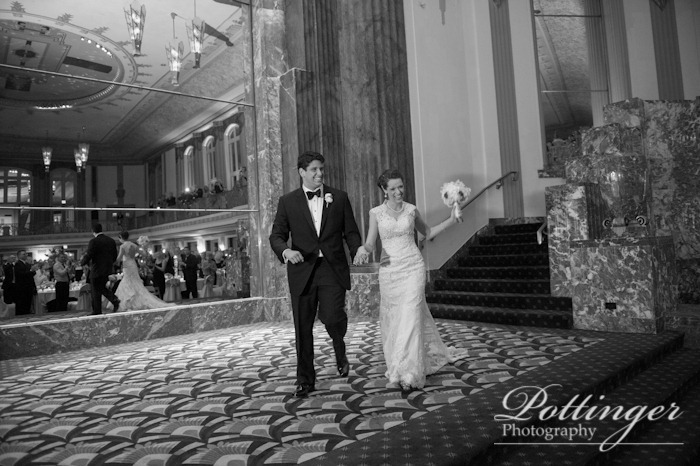 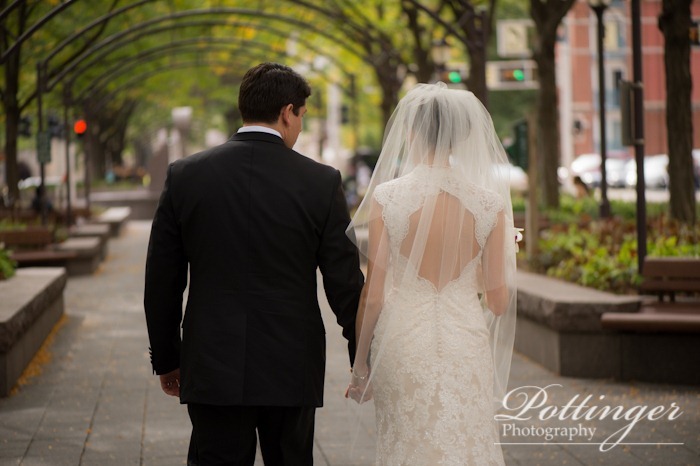 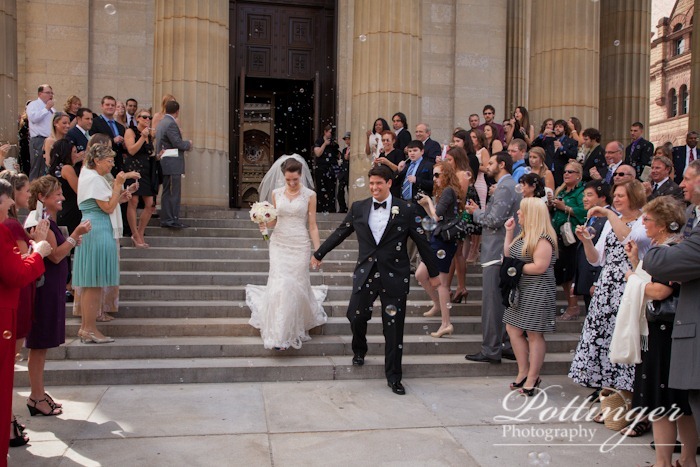 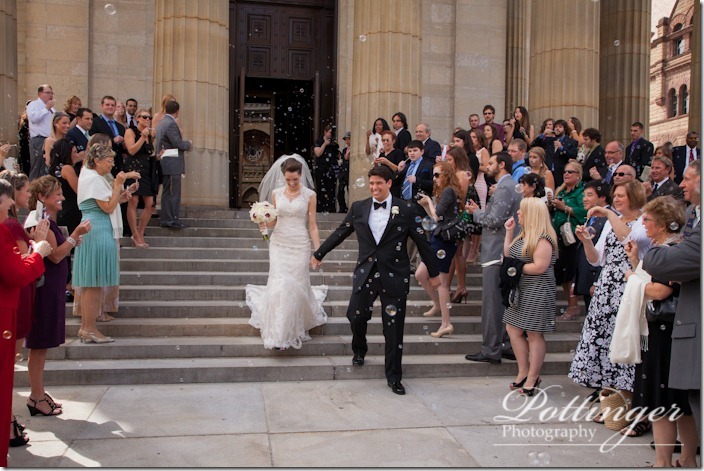 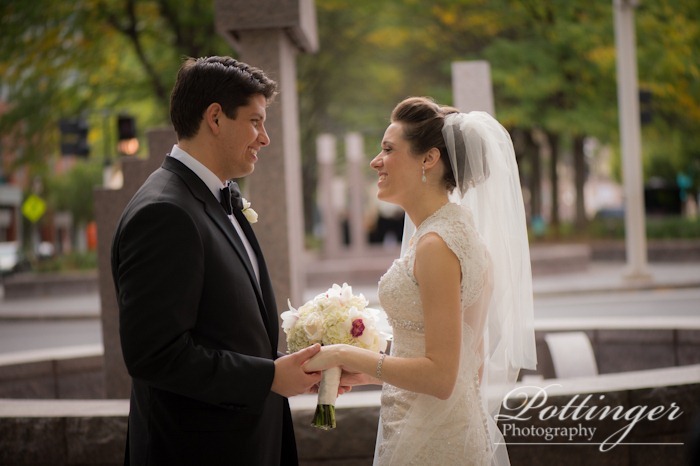 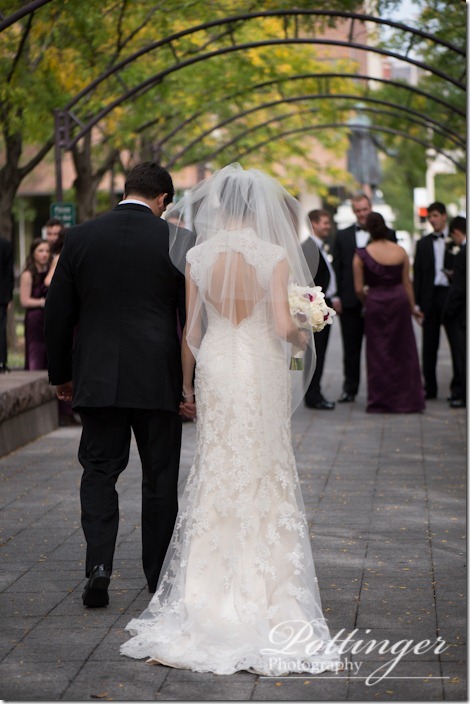 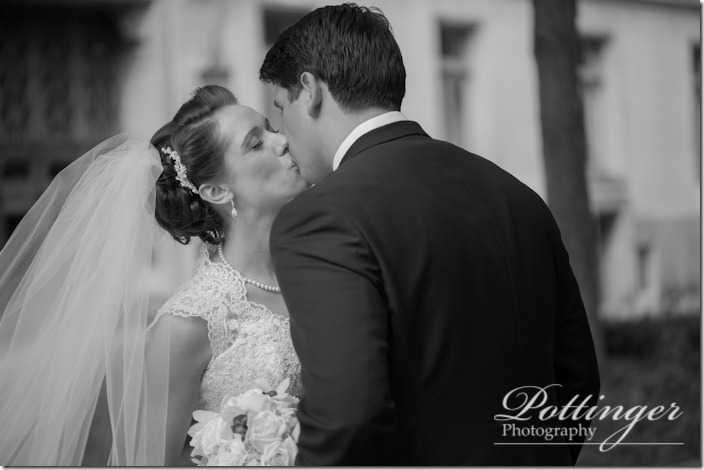 After a few church formals we headed to Piatt Park for some fun with the bridal party. 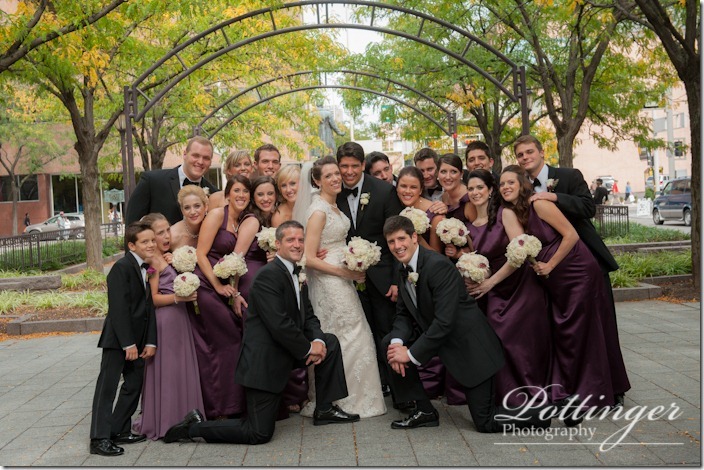 Don’t you just love the purples of the bridesmaids’ dresses – they look amazing against the yellow leaves in the background. 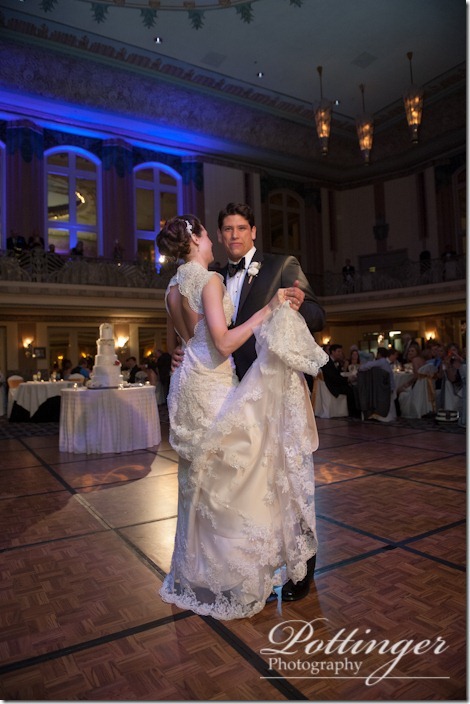 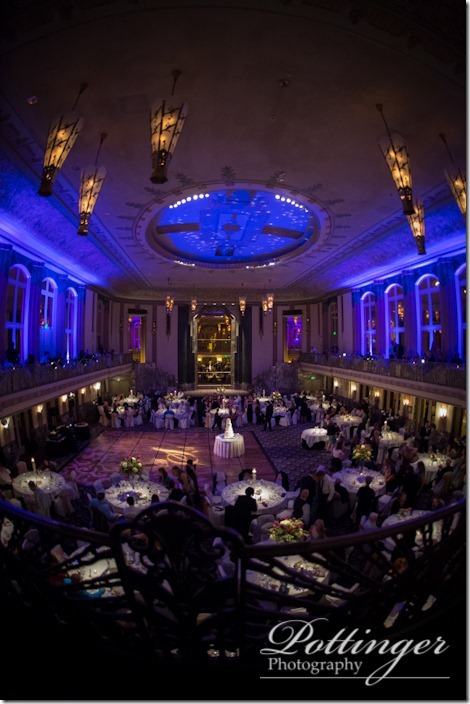 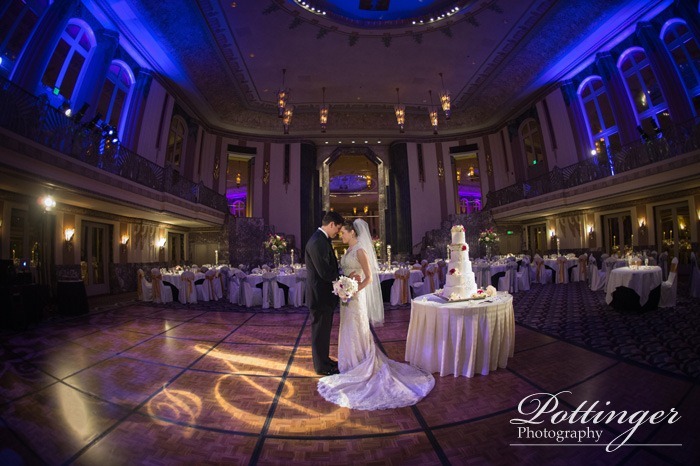 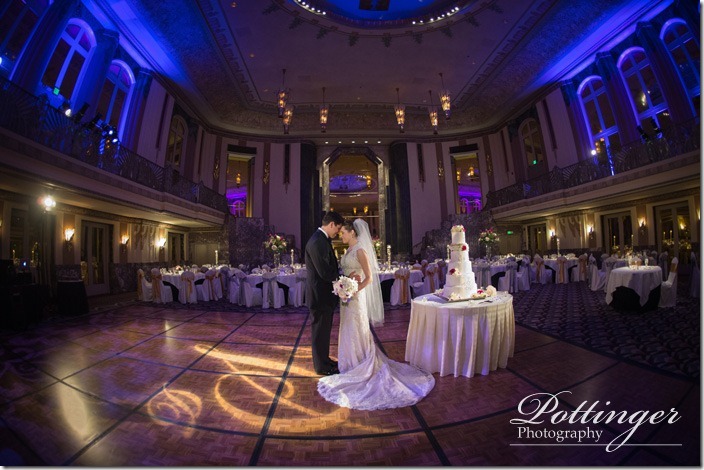 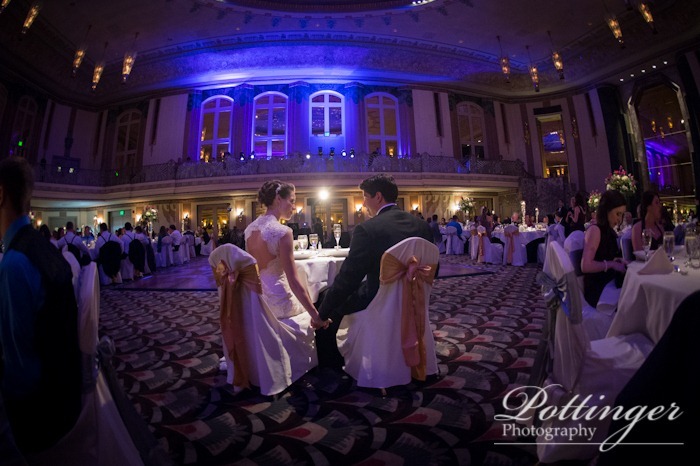 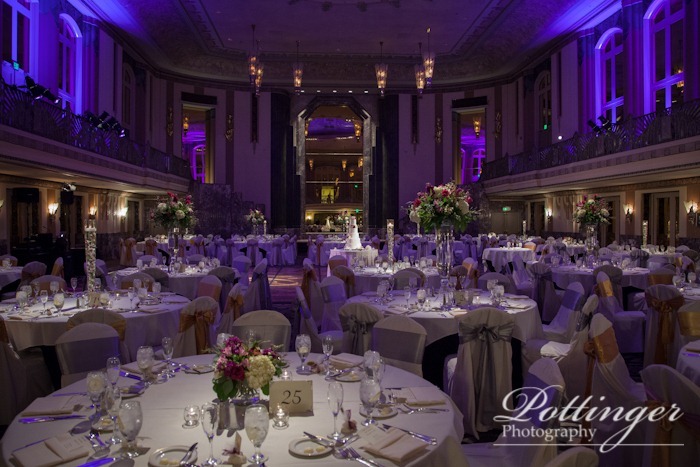 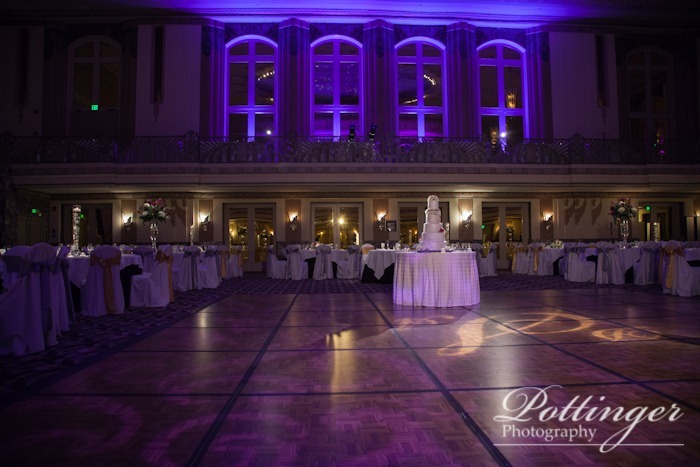 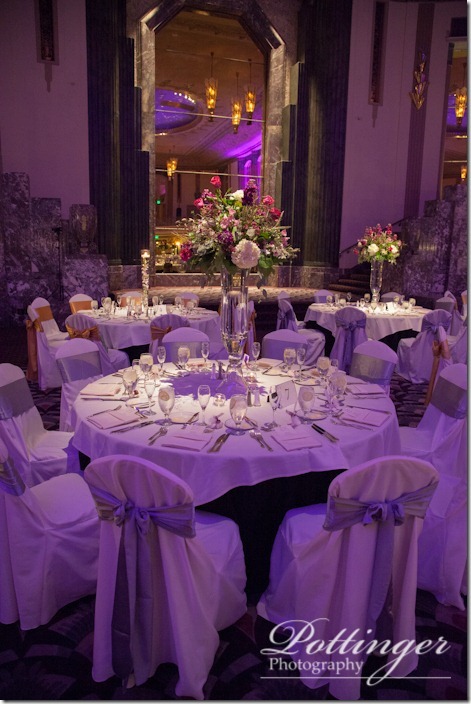 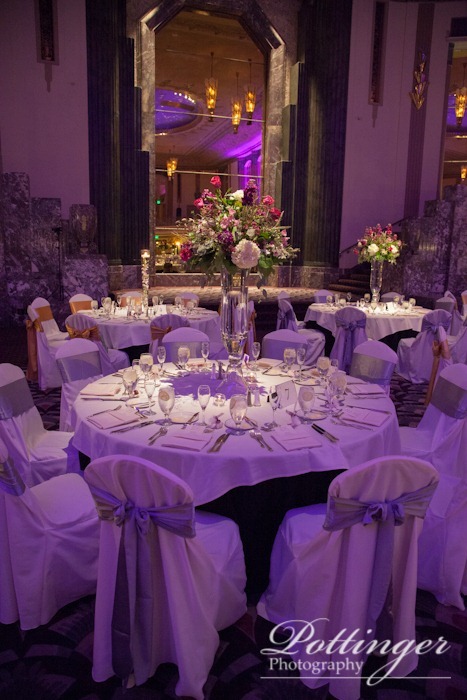 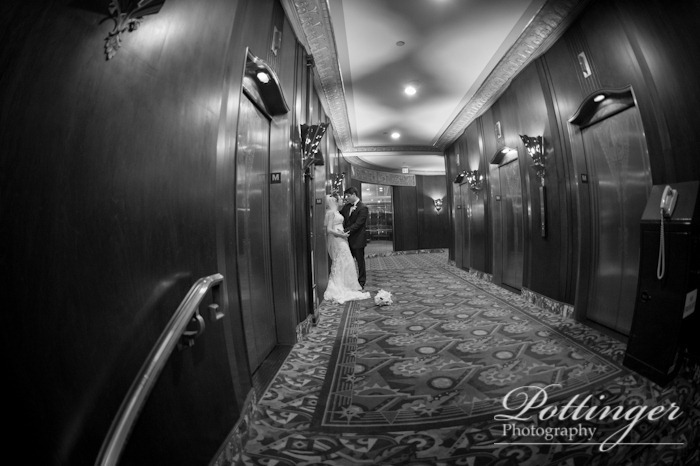 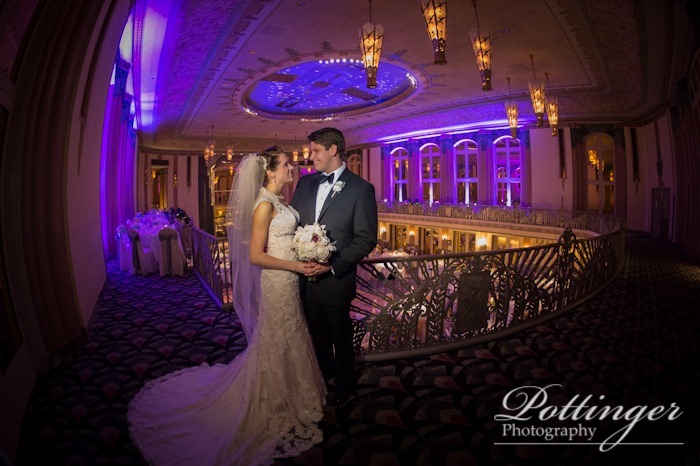 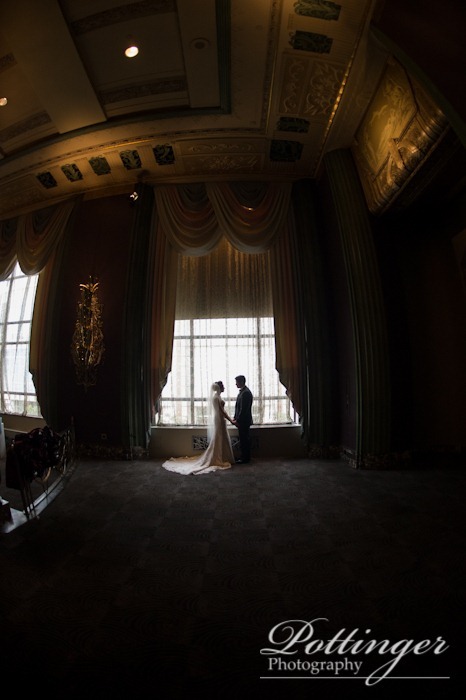 When we arrived at the Hilton Netherland Plaza the couple had a chance to see their reception room and how wonderful it turned out. 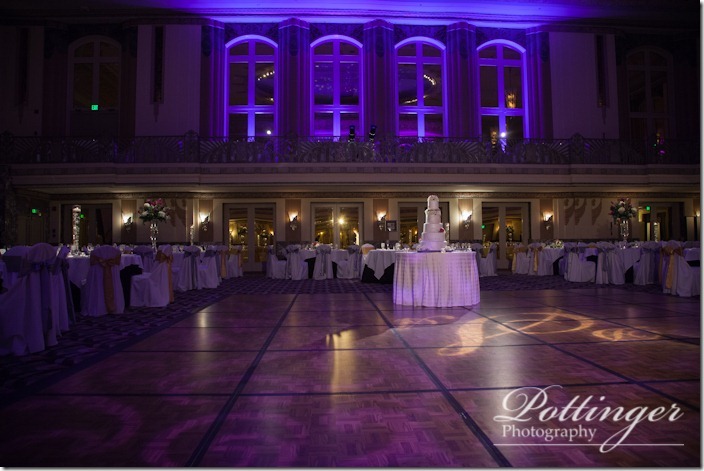 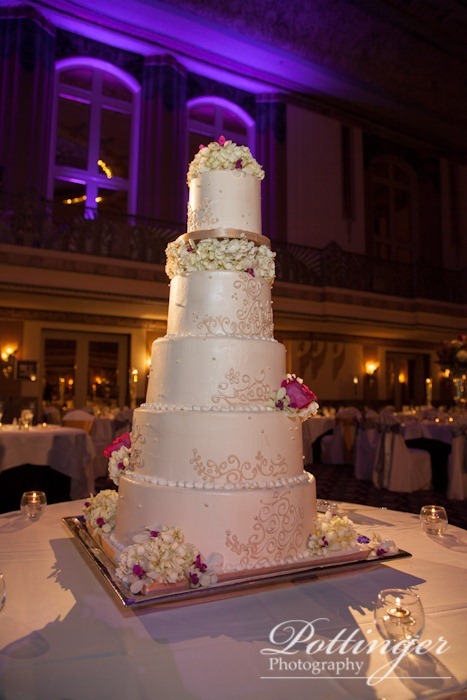 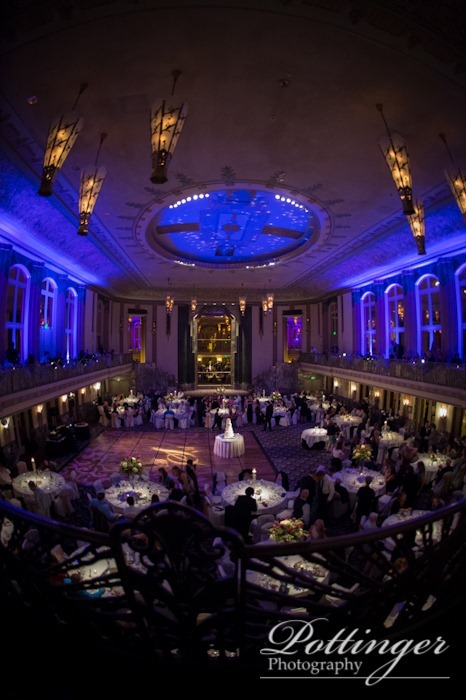 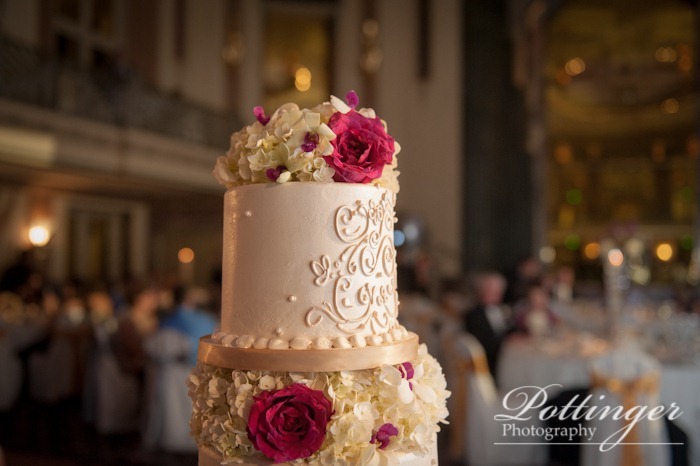 The room revel was stunning with the five tiered wedding cake as the centerpiece! My favorite part of the reception was the dance with the parents. 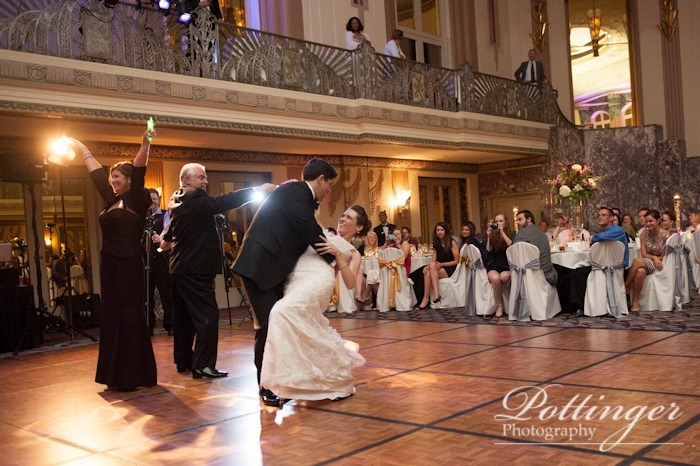 It started as a slow song and then switched to a really fun mash up of popular songs including Single Ladies (Put A Ring On It) and Starships. 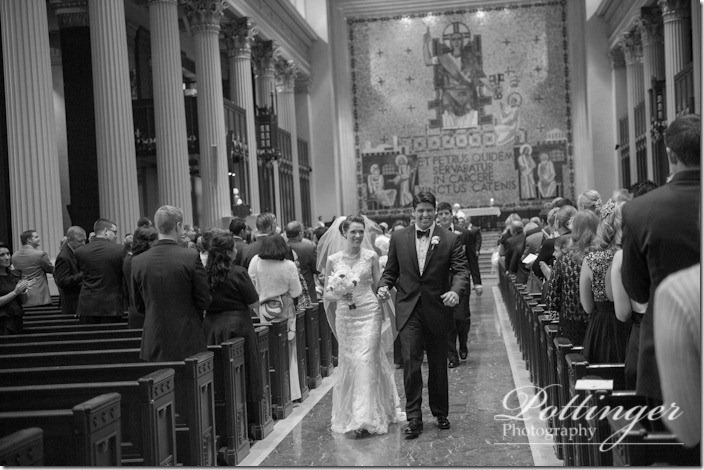 What a fun surprise! 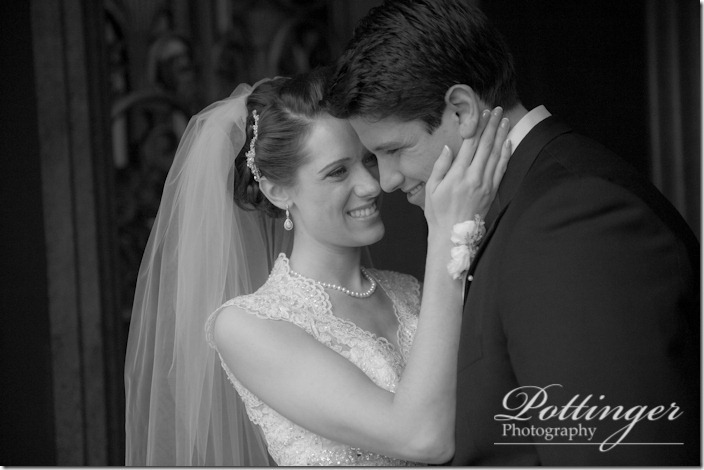 Debbie and Adam it has been so wonderful to work with you both and your families. 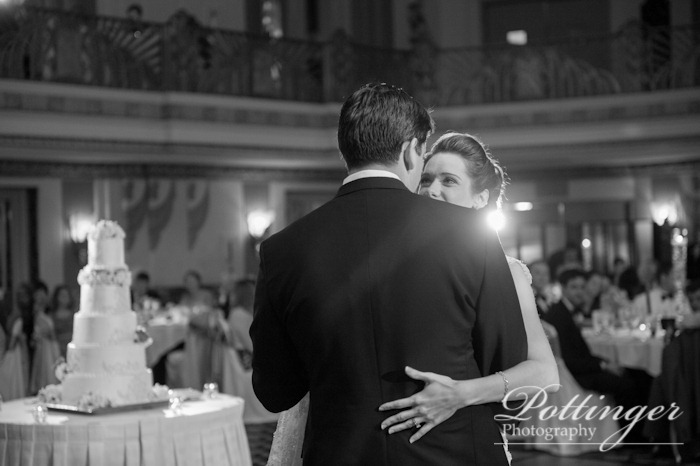 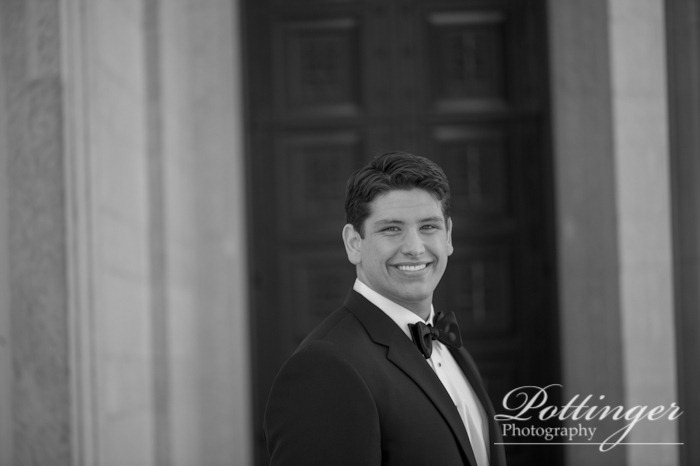 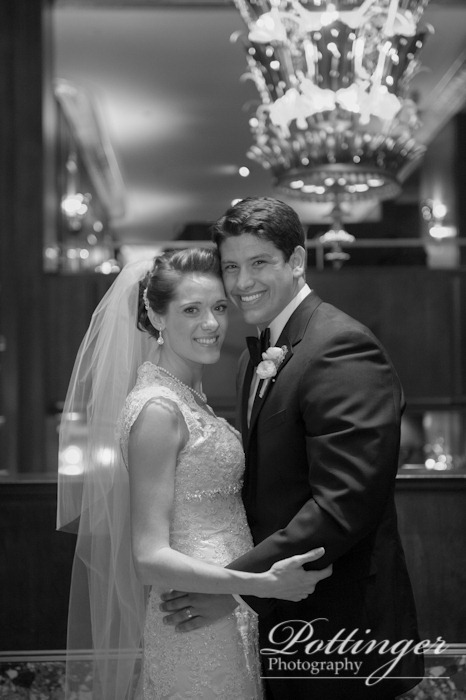 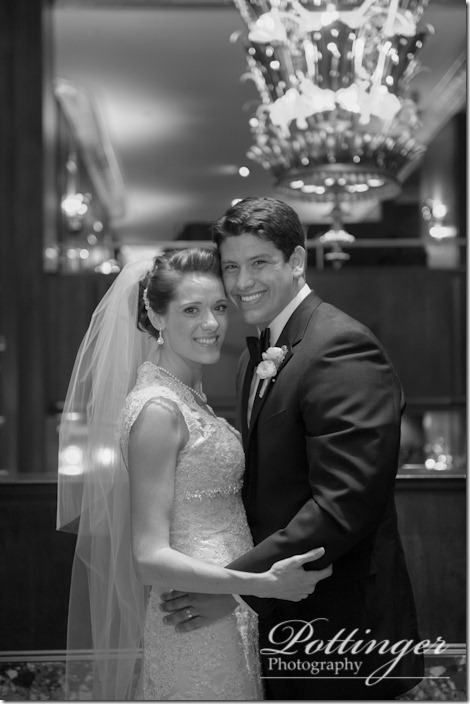 It is an honor to be your wedding photographers! 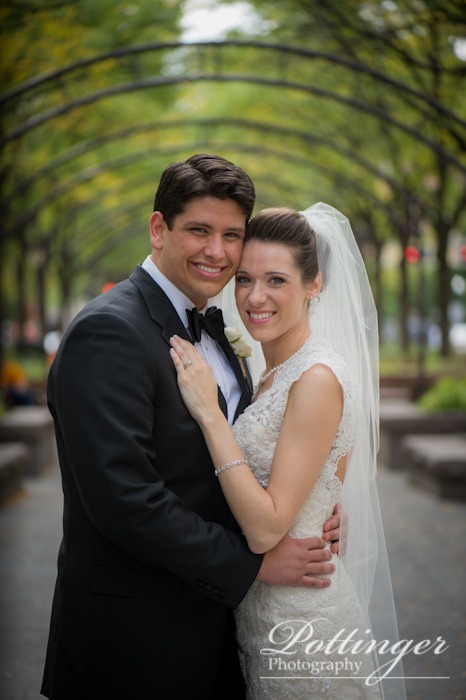 We wish you two all the very best. 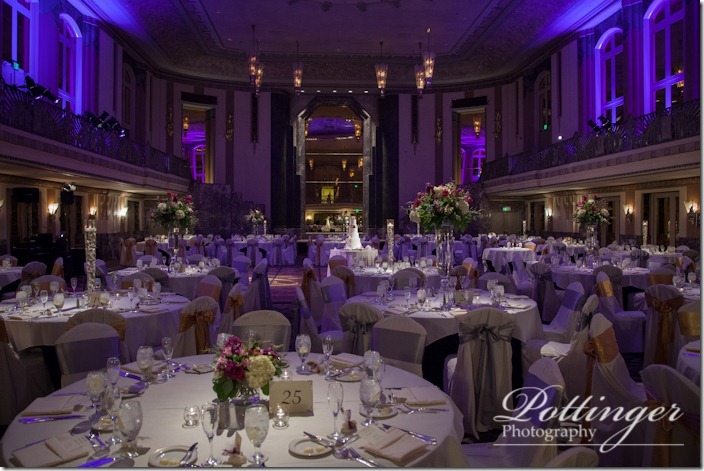 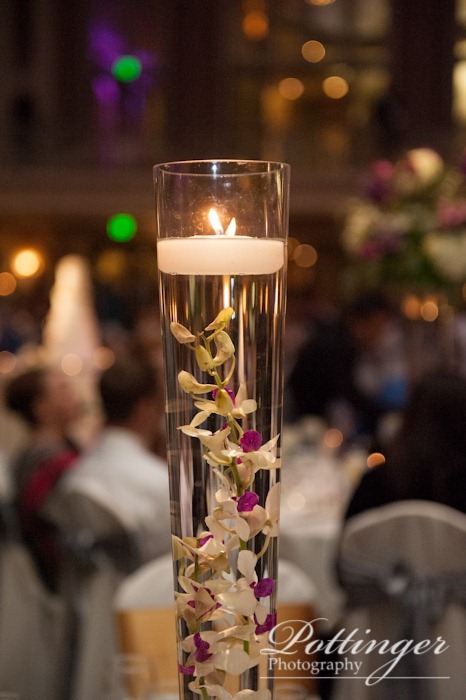 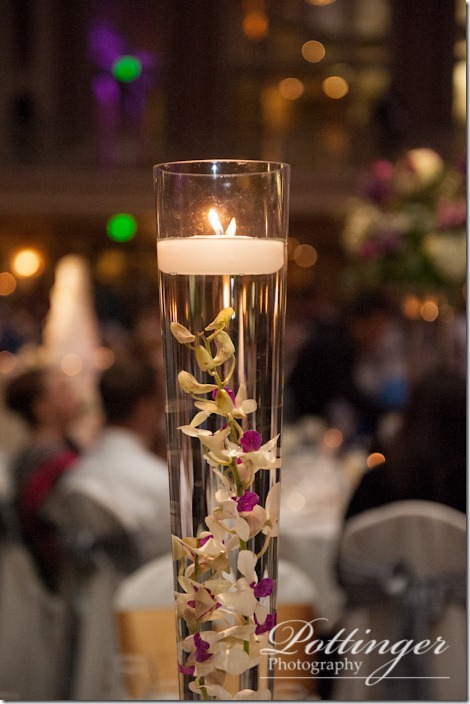 A special thanks to their talented vendors who made everything beautiful!